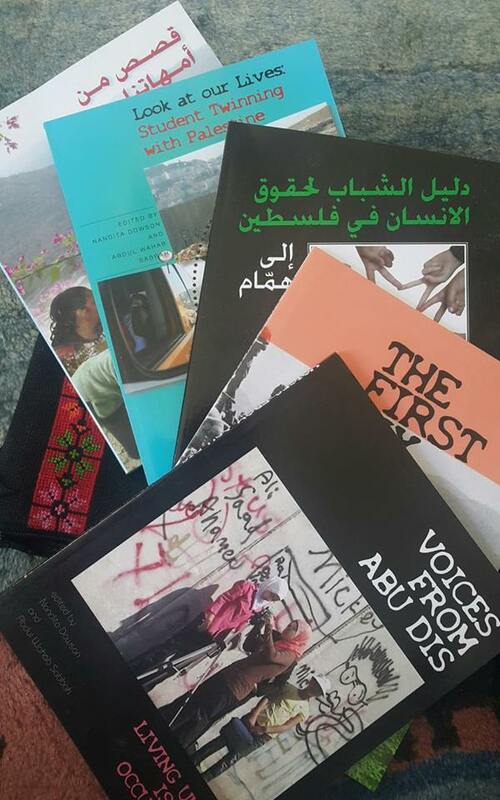 CADFA books are available from Cafe Palestina or by post; they are also listed on Amazon. Links to some of our films are below. For Hammam: A Handbook for Young People about Human Rights in Palestine (2009) Information for young people, looking at the human rights situation in Palestine, based on the work of young people from Palestine and Britain on a CADFA exchange. The book includes stories of children’s experiences of life under occupation. The book includes useful teaching material – a questionnaire, and quizzes and reference pages on human rights, international humanitarian law and children’s rights. Stories from our Mothers (2010) – Stories of Palestinian women’s experiences under occupation from 1948 onwards. The book in Arabic and English is also testimony to the power of exchange, produced on a CADFA project in 2009 and 10. “A wonderful addition to the Palestinian narrative – women’s oral history that is rarely heard” (Ghada Karmi). Look at our Lives (2011) – A book of photographs and stories by university students, comparing Palestinian students’ lives under Israeli occupation to the lives of students in the UK. The book argues the usefulness of twinning links between students’ groups in both places and suggests ways to keep these links strong and active. The films on these two YouTube channels are made by participants on CADFA projects.